Danny! – And I Love H.E.R. The 4th studio album from a “24 year-old producer/MC/cynic” who goes by the moniker of Danny! from North Carolina. Real name Keith mind you. 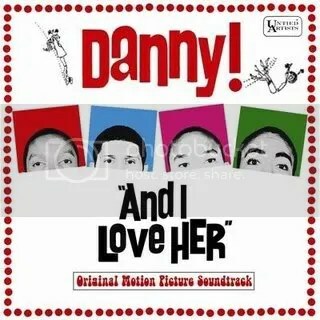 Classic Beatles-esque (homage to A Hard Days Night) cover art envelopes this concept album that chronicles Danny’s romantic involvement with Hip-Hop music. Despite the MC lacking radiance on the mic and an unfit flow, the self-production and additional beats from Alex Goose come highly qualified with the lush structures of ‘I Want H.E.R.’ and ‘At What Price’ which certainly paint a sumptuous affair that could make you too once again dip your middle finger into the pleasure-crevice of this occasionally pestilent artform (having said that, since a suckah from my chitlin’ years, I still will always love H.E.R. too). Danny’s boo tastes like butterscotch, believe.